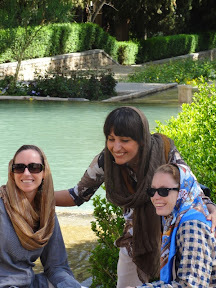 It is compulsory in Iran for all women to wear a headscarf. It has taken a few days to get used to it. 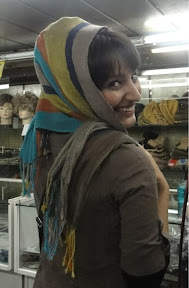 There is definitely a technique to wearing it, which I haven't mastered yet (Iranian women make it look so easy). Apparently, if you don't wear it, you can be arrested. This is something that I don't want to happen, so am constantly checking to make sure that it is still in place. There seems to be a few different ways to wear it. Some women wear clips with lots of tulle underneath, so that it looks like they have big hair. Some wear it tied under their chin. This doesn't seem to be only old ladies though. 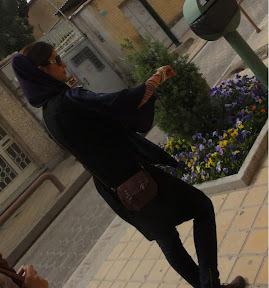 In Shiraz and Esfahan, the 'trendy' girls seemed to wear a ponytail and have the headscarf sitting on the end of the ponytail. 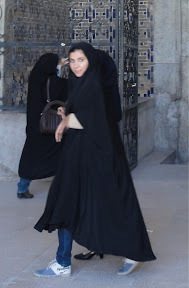 Another option is to wear a chador, which is like a black sheet, although they still wear a headscarf underneath. 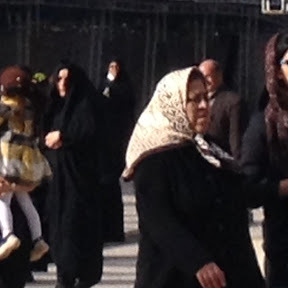 It seems less convenient than the black dresses that we saw in Oman and Qatar as they don't have any holes for your arms so sometimes you see them with it in their teeth because they are carrying things. We see all ages of women wearing these. 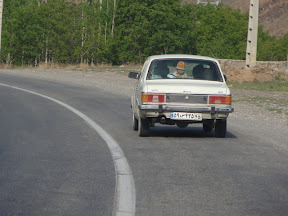 This is our tour guide. She just throws it over her shoulder and it doesn't seem to move. I've resorted to putting bobby pins in. Without them, I found myself on a few occasions walking down the street and it had slipped off. 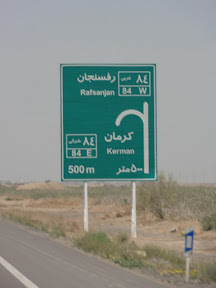 It's a bit of a nightmare to keep in place if it is windy, it gets in the way if you bend over to pick something up, if you spill something while eating it goes into your headscarf and if the weather is hot it is really hot wearing a headscarf. A couple of benefits are that you can use it to cover your nose while using a public toilet that isn't so clean and to pick up a hot teapot (see the kettle at the top).